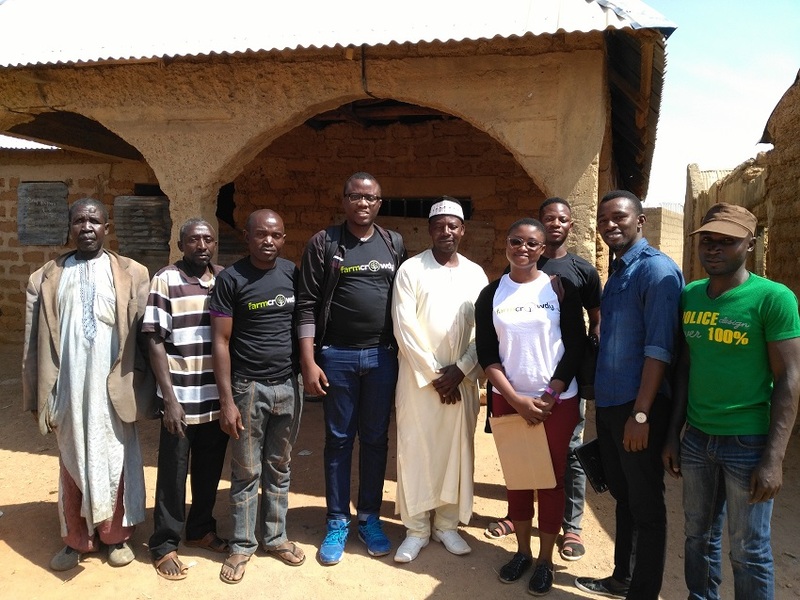 Nigerian agri-tech startup Farmcrowdy is matching small-scale farmers with farm sponsors for the purpose of expanding food production and generating profit for both parties. Launched in September of last year in a bid to improve farmer productivity and reduce the threat of food scarcity, Farmcrowdy allows Nigerians to participate in agriculture without necessarily having to farm themselves. Sponsors select a farm of their choice and provide them with backing for inputs. The Farmcrowdy platform brokers deals for the extra farm, with the sponsor and farmer taking an equal share of the profit. Farmcrowdy takes a 20 per cent cut. The realisation of the need for a service like Farmcrowdy came to co-founder Onyeka Akumah after his friend lost his cassava farm due to lack of funds. “He approached me for help with regards to finance and I had tried to use my experience to raise funds to help him sustain the farm, but they were not forthcoming,” he told Disrupt Africa. The Farmcrowdy team believes there is an underappreciation of the work farmers do to ensure there is enough food to go around. Uptake has been strong. There are currently 1,500 farmers on the platform, of which 200 have been activated. There are also a number of other ways it can make money in the future. “As we look at going up the value-chain to improve the processing, packaging, storage, logistics and marketing of our farmers farm produce, we are daily discovering new levels of opportunities to grow our bottom-line,” Akumah said. Currently, the startup operates in two regions in Nigeria – the South-Western states of Oyo and Ogun, and Plateau State – but its goal is to have an impact on over 10,000 farmers across the country by the end of the year. “Very quickly, we are expanding our agric-expertise base to focus on several key agricultural regions in the country, and with an opportunity of more than 60 million small-scale farmers with over 80 million hectares of arable land, we see space to grow,” Akumah said. To support these ambitions, Farmcrowdy recently raised seed funding from two institutional investors, one based in Lagos and another from Frankfurt, Germany. Akumah said the investment would enable the startup to deliver on the promise of empowering thousands of rural Nigerian farmers.